National Comfort Institute, Inc. (NCI) is excited to announce the addition of a new partner in our Training Incentive Partner Program (TIPP) for members — The Electric & Gas Industries Association (EGIA). EGIA is an 85-year-old non-profit organization. It is dedicated to advancing energy efficiency and renewable energy solutions through the home improvement and renewable energy industries. EGIA works closely with utility companies and the government on their energy-efficiency and renewable energy programs. It also manages one of the largest energy-efficiency financing programs in the country. In fact, EGIA facilitated financing for more than 200,000 residential and business projects valued at more than $2.5 billion. Plus, they’ve administered more than $750 million in rebate payments. Profitability through an expanded service offering. In addition, EGIA will rebate 37.5 basis points (.375%) on financing to your TIPP Bucks account. 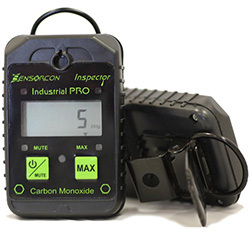 These bucks can be used for NCI training, conferences, and up to 50% on tool and instrument purchases. Please join us in welcoming EGIA into the NCI partner family. And be sure to visit with them during the 2018 High Performance HVAC Summit in Austin, TX, March 4-6, 2018. 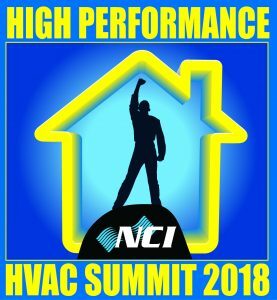 NCI’s High Performance HVAC Summit is Nearly Here! Summit 2018 is just six weeks away and promises to be one of the best for the Performance-Based Contracting™ industry. We are excited to announce that Goodman Manufacturing and The Electric & Gas Industries Association (EGIA) are this year’s Platinum Sponsors and will be co-hosting our Welcome Reception on Sunday, March 4th. This reception is the highlight of every Summit where NCI members can reconnect with their peers and make new friends. It is a great way to kick off your education as you Blaze Your Trail to High Performance. So be sure to stop by the reception, enjoy some food and drink, and visit with your fellow Performance-Based Contractors™ from across the country. If you haven’t registered or booked your hotel, just click the GoToSummit.com link and get started today. In addition, be sure to plan on staying for the FREE Goodman post conference sales training they are offering. Intended for your sales team, class attendees will learn how to sell premium comfort systems, how to increase the average ticket price, increase their closing rates, and create more satisfied and loyal customers. This is a two-day class that you’d normally pay $375 per person to attend. Goodman is offering it to all Summit attendees. There is a 50-person limit for the class, so be sure to sign up right away. You can get more information here. We look forward to seeing you in Austin. If you have any questions about this special class offering or anything else regarding Summit 2018, visit GotoSummit.com or please call 800-633-7058. You can also register by phone at this number. NCI is excited to launch a NEW member-only mobile app that is available at NO ADDITIONAL COST. It is called AirMaxx™ and is included in all ComfortMaxx™ subscriptions. It is available for both Android and iOS phones. AirMaxx enables you to show homeowners the “airflow grade” for their HVAC systems. All you need is to collect some nameplate information, then do four static pressure measurements, and input the results into the app. The app does all the calculations and produces customer-centric graphs and wording for you to show them. 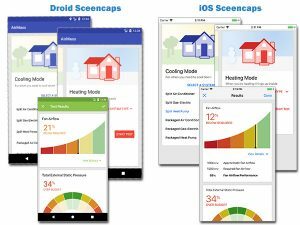 This helps customers better understand what is happening with their comfort system and can help you close more duct renovation and air upgrade sales. This mobile companion to ComfortMaxx doesn’t require a data plan – it is all resident right on your phone. It has a very simple and clean interface and is easy to use. For more information click this link: ncilink.com/AirMaxx. 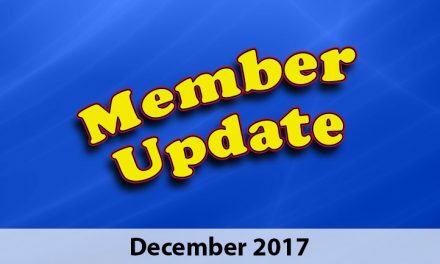 NCI Member Benefits Are Bigger than Ever! 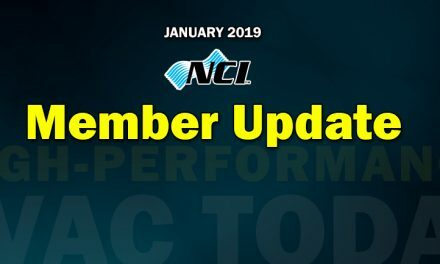 NCI has made some exciting changes to our tools, instruments and support materials, and added some fantastic new benefits for members like you. First, as an NCI member, you can now apply NCI Bucks to pay for up to 50% of your tool and/or instrument order! For example, if you have $2000 in NCI Bucks, and you order an EBT 731 Flow Hood for $3245, you can apply up to 50% ($1622.50) in NCI Bucks to that tool order, then pay the balance with a credit card. This benefit is ONLY for NCI members! 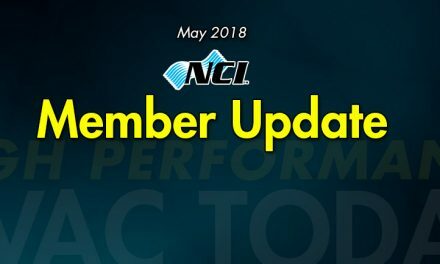 In addition, NCI has increased the member discount from 2% to 5% on all the tools, instruments and support materials you buy. Please note that these two benefits do not apply to our resale products. But wait, there’s more – NCI now offers FREE shipping and handling on all tool, instrument and support material orders that total more than $200. If your order is under $200, a standard $15 shipping charge will apply. Oversized items may be subject to additional shipping costs. Again, resale products are excluded from this. If you have any questions, please call Nick Guarino at 1-800-633-7058.